All RYA courses and most other training sessions are normally done on demand. If you cannot see your required dates on the electronic calendar then please get in touch and we can add them for you, no problem!! This is 1 day of training aimed at young people or those who do not wish to travel at high speeds. Learn some boat handling techniques in our sheltered waters near the beautiful Falmouth, Cornwall. The RYA Powerboat Level 1 course is aimed at 8 – 11 year olds and for crew who do not want to helm at high speeds. Handling a motor boat requires training and skill. Making sure you know all the aspects of a speedboat before you go afloat. There are certain recommended methods for each slow manoeuvre in a powerboat, all of these are listed below. For high speed manouevres, you will need to go straight to the Level 2 for this. You do not need to take the Level 1 course before you take the Level 2 course. Under 16 year olds should be under the supervision of a responsible adult at all times during boat handling. There were 3 of us doing the course and it was very apparent I had by far the least experience of being on the water but Matt our enthusiastic and very knowledgeable instructor soon put me at rest . We had ample practice time on the water taking it in turns to burn up Matts never ending patience as we practiced coming alongside, 360 degree slow turns with the boat as well as higher speed manoeuvres and man overboard. When do we run these courses? I have never done it before is this ok? This is a very frequently asked question! Yes of course, this is what we are here for! Around 60% of our customers are absolute beginners. If you have any apprehensions at all then please contact us and we will endeavour to put your mind at rest. 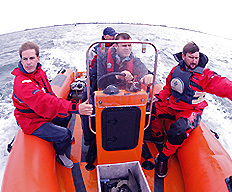 For Powerboat Courses the maximum in a group would be 3 people plus the instructor. You may request either 1:1 or 2:1 tuition, costs will be adjusted for this. I have a physical impairment/health condition can I learn to powerboat?